Johannesburg (AFP) - South Africa summoned Australia's envoy to Pretoria Thursday to explain comments by a Canberra minister who suggested "persecuted" white farmers in the country should be offered fast-tracked humanitarian visas. Australia's Home Affairs Minister Peter Dutton, who has drawn criticism for cracking down on asylum seekers from Asia and the Middle East, said white farmers could be admitted as refugees. Dutton made the offer in response to Pretoria's vow to enact land "expropriation without compensation" to redress land confiscations of the colonial and apartheid era. According to police, 74 farmers were murdered between 2016 and 2017 in South Africa, which has one of the world's highest crime rates. "It was communicated to the High Commissioner that the South African Government is offended by the statements," said foreign ministry spokesman Ndivhuwo Mabaya in a statement that demanded Dutton retract the comments. The African Farmers Association of South Africa said it was "offensive for the minister to polarise agriculture". "He is bringing a racial dimension into a socio-economic issue," said spokesman Neo Masithela. "Transformation has been extremely slow, it is a very emotional issue." 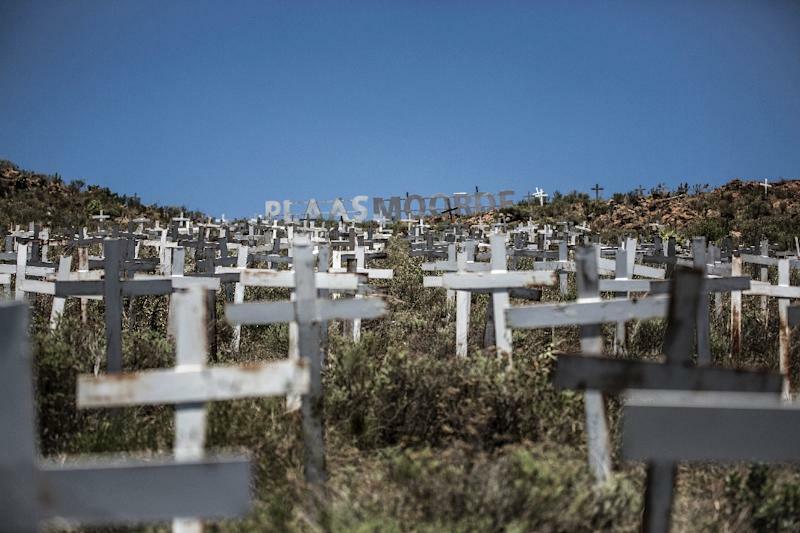 Land is a hugely divisive topic in South Africa, where 72 percent of individually-owned farms are in white hands 24 years after the end of white-minority apartheid rule. By contrast just four percent of such land is owned by black people, according to an audit cited by President Cyril Ramaphosa. Dutton suggested that white South African farmers could apply for humanitarian visas typically sought by Iranian, Iraqi and Somali asylum seekers. "If you look at the footage and read the stories, you hear the accounts, it's a horrific circumstance they face," Dutton told Sydney's Daily Telegraph tabloid. Another Australian cabinet minister, Steve Ciobo, agreed the farmers' situation was "cause for concern". "Let's be frank, if we see in this case -- people who are being thrown off their land, being persecuted, I've read of people being shot, rapes, all sorts of different things -- then I do believe that there's a role to be played," he told broadcaster ABC. South Africa earlier said that the situation described by the Australian ministers "does not exist". "There is no reason for any government in the world to suspect that a section of South Africans is under danger from their own democratically elected government," said the foreign ministry in an uncharacteristically blunt statement. The ruling African National Congress announced at its conference in December that it would press ahead with plans to amend the constitution to allow for redistribution of land without compensation to the affected owner. "We must -- given the history we have had -- work with urgency to significantly and sustainably escalate the pace of land reform," Ramaphosa told parliament on Wednesday. The government has not yet spelt out exactly how land would be redistributed. Botched and often violent redistribution of land in neighbouring Zimbabwe under ex-leader Robert Mugabe left many farms in ruins, and the drop in production triggered an economic crisis that still haunts the country. Campaign group AfriForum, which advocates for its largely white membership, many of whom speak Afrikaans, said farmers had been used as "scapegoats" for South Africa's wider problems. "It must serve as a warning that South Africa runs the risk to lose even more productive, loyal citizens should their concerns about issues such as property rights not be listened to," said AfriForum's deputy chief executive Alana Bailey. In October 2017 AfriForum put the murder rate for commercial farmers at 156 per 100,000 in 2016-17 -- well above the national average of 34.1 per 100,000. But independent fact-checking service AfricaCheck warned that it was impossible to definitively state the murder rate for farmers in South Africa. "South Africa is a very violent society and many people, not just farmers, experience unacceptably high levels of serious crime," Frans Cronje, head of the South African Institute for Race Relations, told AFP. "It is futile and self-defeating to get into a conflict about whether farmers are more at risk than other South Africans." Up to 500,000 white South Africans have left the country in the past 30 years, according to official statistics, with Australia ranking as the top destination.